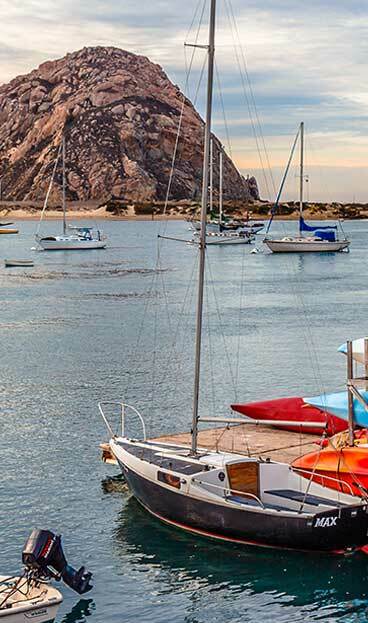 The Bayfront Inn at the waterfront is a unique European style hotel and one of the closest locations to Morro Rock. 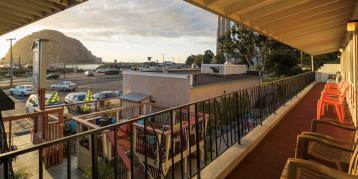 Originally built in 1962, our little Mom & Pop motel represents an authentic Morro Bay motel-hotel stay. 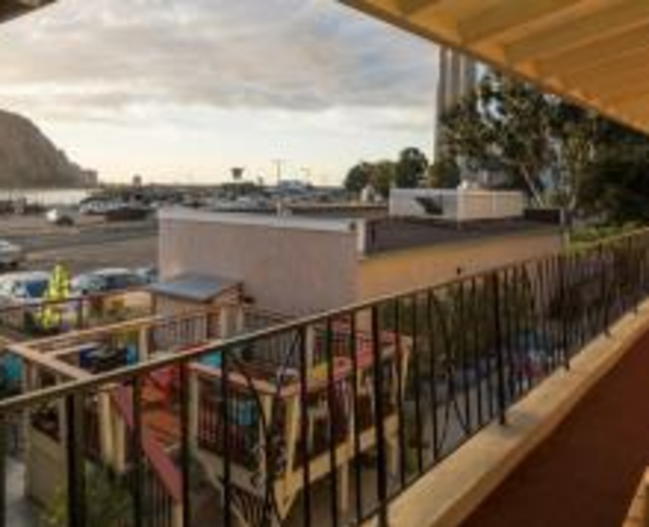 Most of our second-floor rooms offer breathtaking unobstructed views of the famous Morro Rock, beautiful Estero Bay and the Pacific. You are invited to lounge, enjoy a glass of wine, and observe the wonderful sunsets from our unique common inner courtyard and 2 viewing decks. Excellent location, comfortable beds, upgraded linens, and wonderful guest amenities await.